SLS satellite speakers feature enhancements like the addition of the Sonance Laminated Core Transformer with an adjustable tap and new larger drivers and woofers making each component of the series powerful and flexible for system design and application. 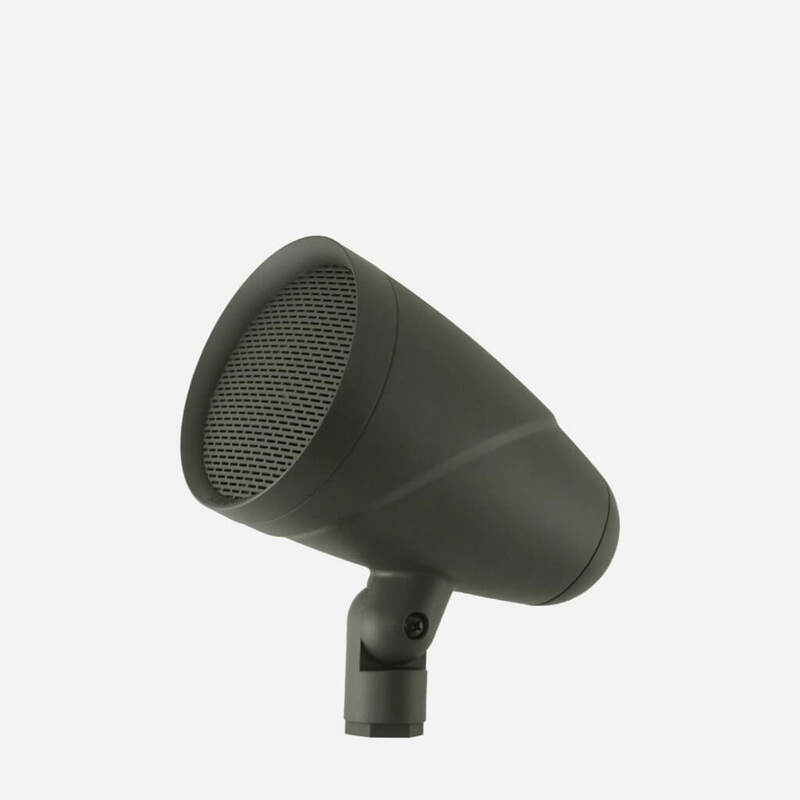 Sonance Landscape LS4T SAT 4" Satellite Speaker. 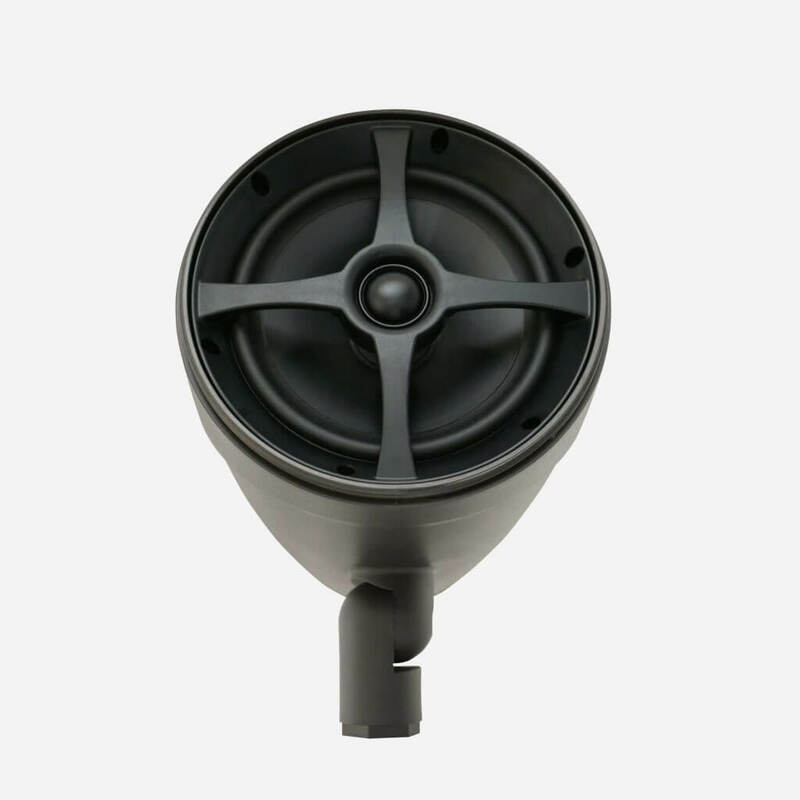 Tweeter: 1” (25mm) Polyurethane dome. 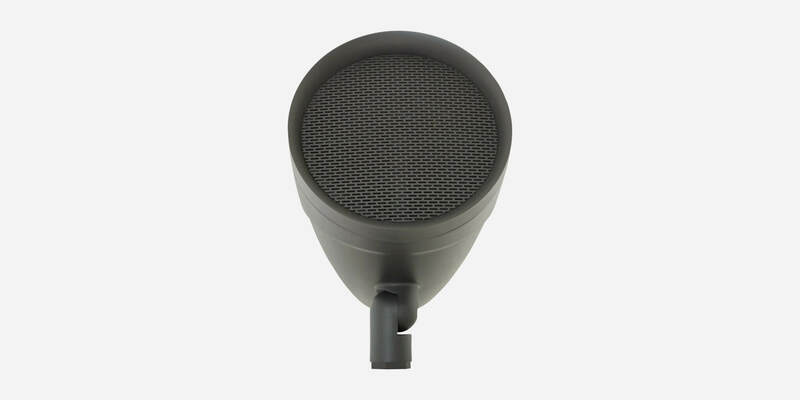 Woofer: 4 1/2” (114mm) Injection molded polypropylene cone with a SantopreneTM rubber surround. 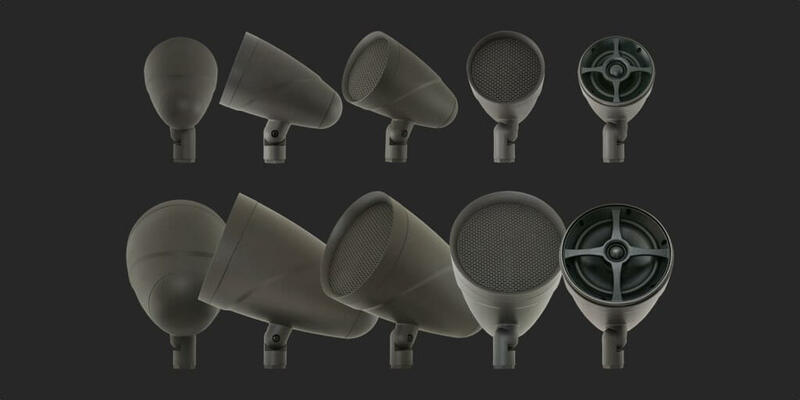 Frequency Response: 75Hz - 20kHz ±3dB. Recommended Amp Power: 5W min, 90W max. Sensitivity: 88dB @ 1m, 2.83 V (8-ohms). Tranformer Tabs: 70V: 40W, 20W, 10W, 5W; 100V: 40W, 20W, 10W; 8 ohms. Enclosure Materials: High Heat ABS, non-corrosive sealed enclosure. Shipping Weight: 6.28 lbs (2.85 kg) each. Dimensions (L x Dia. ): 8.07” x 5.12” (205mm x 130mm). Mounting Accessories: 9" Stake, Surface-Mount, & Tree-Mount. Sonance Landscape LS6T SAT 6" Satellite Speaker. 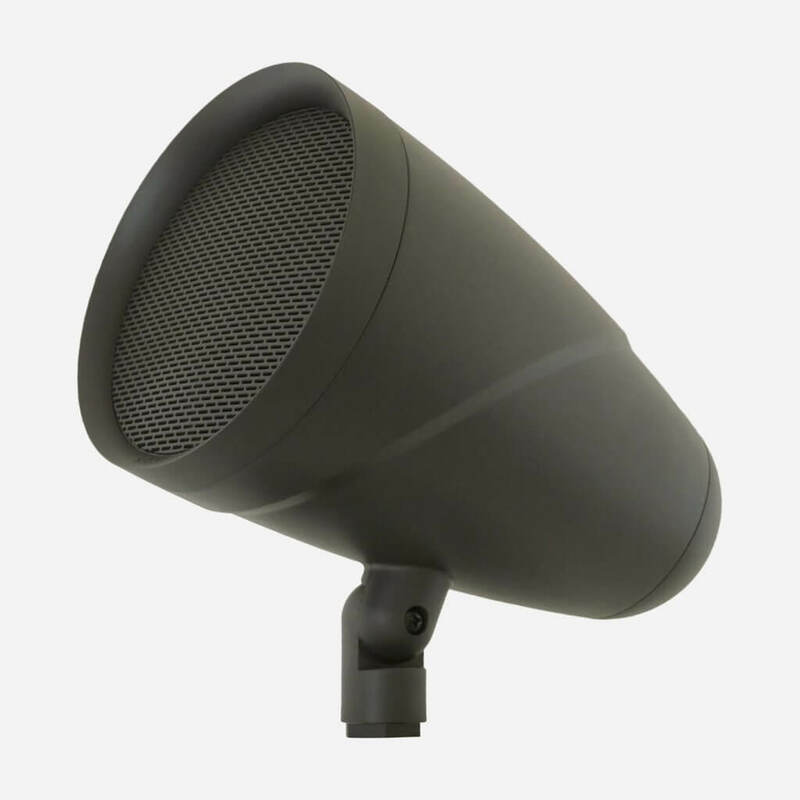 Woofer: 6 1/2” (165mm) Injection molded polypropylene cone with a SantopreneTM rubber surround. Frequency Response: 55Hz - 20kHz ±3dB. Recommended Amp Power: 5W min, 125W max. Sensitivity: 90dB @ 1m, 2.83 V (8-ohms). Tranformer Tabs: 70V: 60W, 30W, 15W, 7.5W; 100V: 60W, 30W, 15W; 8 Ohms. Shipping Weight: 9.92 lbs (4.5kgs) each. Dimensions (L x Dia. ): 11.70” x 7.43” (297mm x 189mm). Mounting Accessories: 19" Stake, Surface-Mount, & Tree-Mount.